Your pet is a member of your family – and ours! Valley Animal Hospital, home of the only Clifton veterinarian certified in animal rehabilitation, believes in going above and beyond with veterinary care, including animal rehabilitation. Serving Clifton, Montclair and Nutley, NJ, we offer a complete range of rehabilitation modalities to reduce and alleviate your pet’s pain and stiffness. Read on about animal rehabilitation in Clifton. Our animal hospital is the most advanced facility in the entire Clifton area with equipment and therapies rarely found in most veterinary practices. When pet rehabilitation is necessary, our skilled and certified Clifton veterinarian will develop a rehabilitation plan. A pet rehab includes some or all of the following modalities. Laser Therapy - Used to treat arthritis, post-surgery healing, general wound healing, and more, lasers penetrate pets’ soft tissue to promote repair and cell growth. This reduces pain and inflammation and improves nerve function. Therapeutic Ultrasound - This treatment is similar to laser therapy, but uses sound instead of light energy. We use it to soothe tight muscles or muscle spasms as well as to help stretch muscles, ligaments, and tendons. Whirlpool with Electrostimulation - This modality, which uses warm water and jets, is effective in relieving total body pain. It also increases circulation, helps to relax muscles spasms, and prevents or slows down tissue and muscle atrophy. Whole Body Vibrational Therapy (VibroGym) - For pets who have balance issues, the VibroGym forces their bodies to regain balance by causing muscular contractions. This therapy stimulates blood circulation, warms muscles and supports the body’s recovery. Pulsed Signal Therapy (PST) - PST is effective in healing the pain and movement problems that occur when joint tissue and cartilage has broken down. Consisting of pulsed signals transmitted into the affected joint, PST promotes repair of damaged cells, which then stimulates the normal repair and maintenance process. Resistance Pool - A muscle strengthening tool, the resistance pool is particularly effective in increasing range of motion of the shoulders and elbows as well as strengthening the forelimbs and chest muscles. Underwater Treadmill (UWT) - When a pet needs exercise that won’t put pressure on the joints, the UWT is the recommended pet rehab therapy in our animal hospital. The warm water increases circulation while loosening muscles, ligaments, and tendons. By changing the water height, we control the amount of weight the pet will carry during the exercise session. The UWT helps pets who have had orthopedic surgery, have osteoarthritis, who are unable to carry their weight, and to help overweight pets lose weight. Let our Clifton Veterinarian Tell You More! When our pets are hurting, so are we. 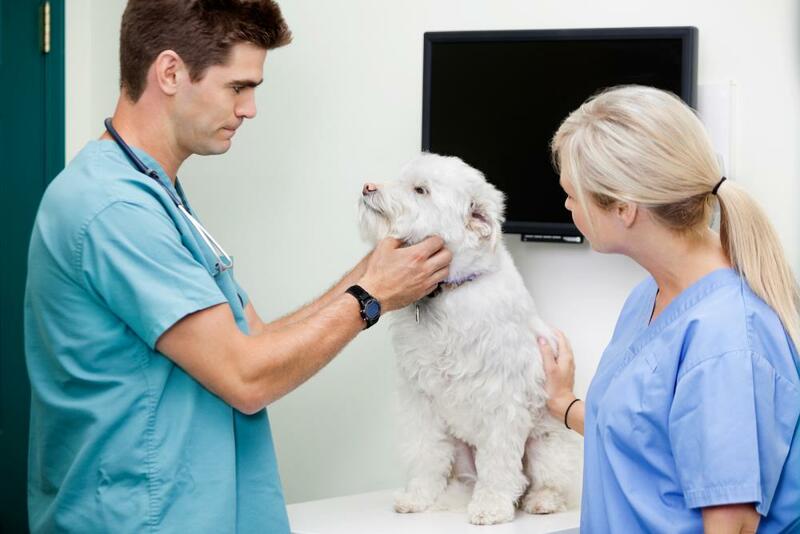 Let our skilled and certified Clifton veterinarian ease your pet’s pain and restore him or her to health and happiness. Contact us today to learn more about the services we offer.